Masinagudi is a small hill station in Tamil Nadu state that offers untouched and unhindered nature to explore. 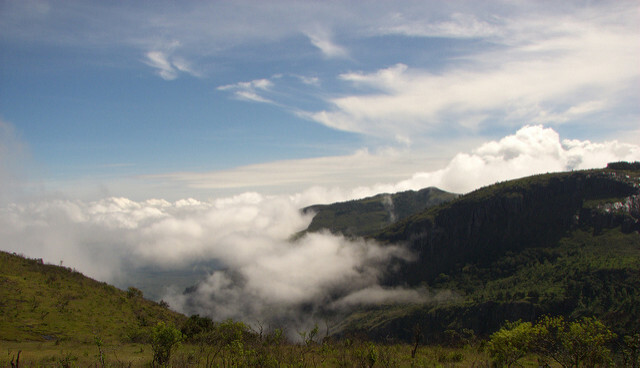 Masinagudi lies near Ooty on the foothills of Nilgiri mountains at the edge of Mudumalai and Bandipur national parks. The most famous activity is to observe the training sessions of Elephants at the Theppakadu Elephant Camp. Also visit the Mudumalai national park to see some of the rare animals and birds. Also visit the Himavad Gopalaswamy Betta temple to satiate your desire of connecting to God. A perfect spot to enthrall oneself with bird watching as well as admiring the lush green tea plantations in the surroundings. Masinagudi is a superb offbeat weekend destination for people of Bangalore but increasingly getting popular. Is lies 240 Kms from Bangalore, 580 Kms from Chennai and only 113 Kms from Coimbatore. Ooty is further 30 Kms from here. If you are planning to go for wildlife safari in Bandipur or Mudumalai then check which gate is nearest to your hotel or resort. You can also hire private jeeps that would come and pick you up from you accommodation itself. Masinagudi is easily approachable from Mysore which is only 97 Kilometers. Masinagudi weather is pleasant all round the year and can be visited anytime. There are lot of forest resorts in the area and most of them offer wildlife safari services. A jungle cottage or tree house stay is a great experience to be had on Masinagudi trip. Wild animals such as Deers and wild boar can be easily spotted in the area. Pykara falls is another tourist attractions near Masinagudi. This a brilliant alternative to Ooty if you are fed-up of the crowds and looking tom spend some time amidst pristine nature and wildlife. Some resorts run private Safari and you can also go for Mudumulai National Park or Bandipur National Park Safari as per official timings.